He insisted he was a free man in a recent TV interview in Saudi Arabia. 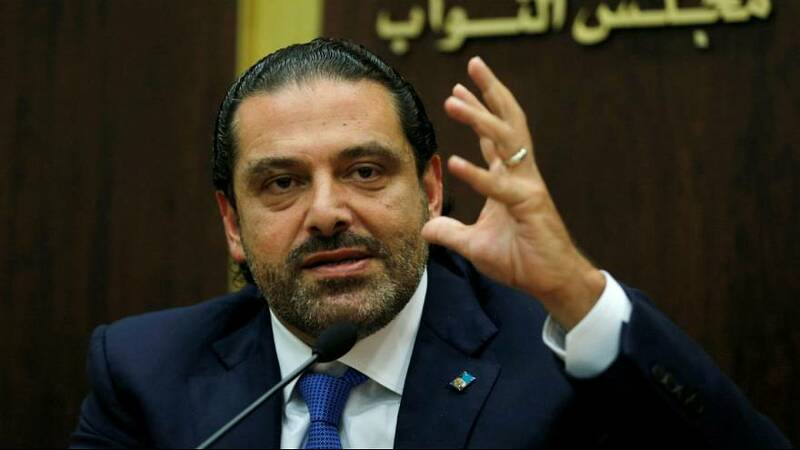 And as if to prove it, Saad al-Hariri, who dramatically quit as Lebanese prime minister this month during a visit to the Gulf kingdom, is meeting Emmanuel Macron on Saturday in Paris. France is the former colonial power in Lebanon and the French president has been a key mediator in trying to find a way out of a crisis that has sparked fears over Lebanon’s stability. It thrust Lebanon into the bitter rivalry pitting Saudi Arabia and its allies against a bloc led by Iran, which includes the heavily armed Lebanese Shi’ite Hezbollah group. Macron invited Hariri to visit France, following his prolonged stay in Saudi Arabia, providing what French diplomats say might be a way to reduce tensions by demonstrating that Hariri can leave Riyadh. In Lebanon, Hariri has long been an ally of Saudi Arabia. His coalition government, formed in a political deal last year to end years of paralysis, includes Hezbollah. Lebanese President Michel Aoun, a political ally of Hezbollah, has called Hariri a Saudi hostage and refused to accept his resignation unless he returns to Lebanon. Saudi Arabia and Hariri say his movements are not restricted. Riyadh has recalled its ambassador in Berlin over comments by German Foreign Minster Sigmar Gabriel, perceived as implying that Hariri was being held against his will. On his way to the airport, Hariri said on Twitter that this was a lie. To say that I am held up in Saudi Arabia and not allowed to leave the country is a lie. I am on the way to the airport Mr. Sigmar Gabriel.